You knew we weren’t going to get through the holiday weekend without bad news. Early morning on the 4th of July, those fears were confirmed when a hit-and-run driver took the life of 32-year old cyclist George Loudon in El Segundo. Loudon was reportedly making his was home from work when he was hit from behind while riding northbound on Vista Del Mar near Dockweiler State Beach in El Segundo. The exact spot of the collision is unclear; reports say the collision occurred near Hyperion Way, which does not appear on online maps. Loudon was pronounced dead at the scene. Authorities reportedly don’t have any description of the suspect vehicle; anyone with information is asked to call the LAPD at 213/473-0222. This was the second fatal hit-and-run in the L.A. area in just 24 hours, as a pedestrian was killed in San Pedro on Sunday. 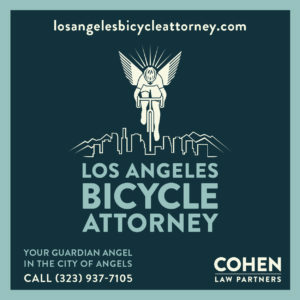 Loudon’s death was the 35th confirmed cycling traffic fatality in Southern California this year, and the 10th in Los Angeles County; three of those fatalities have been the result of hit-and-runs. And I’m still looking for confirmation of two other possible deaths in the past two weeks, including one in East L.A.
Maybe one day we’ll finally be able to celebrate our independence from cowards who flee the scene after killing or injuring another human being. As far as I’m concerned, there’s no lower form of life; it’s long past time we stop treating hit-and-runs like traffic collisions and start treating them like the crimes they are. My prayers and condolences to Loudon’s family and friends. Update: The Daily Breeze reports that Loudon, who lived in Venice, was riding through a “dark and desolate” area wearing dark clothing and without reflectors; whether he had a light is not mentioned. His body was found by a passing motorist, so there is no clear indication of exactly when he was hit. Police note that the vehicle should have significant damage to the front end. 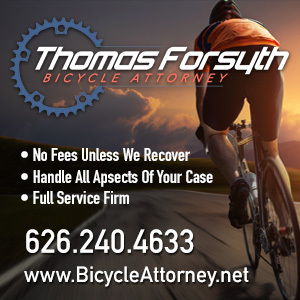 I’ve been hearing some unfortunate rumors about Adam Rybicki, the cyclist critically injured in a collision with an allegedly drunk, underage driver in Torrance last April. So let me clear up any confusion. Adam has been transferred to a rehab facility, and continues to show improvement. While he still has significant impairment due to his injuries, the latest reports are that he is able to communicate using a white board and is working hard at his recovery. Clearly, he has a very long way to go, and prayers and positive thoughts are still needed. But overall, the news is good. Don’t let anyone tell you otherwise. I was saddened by the news of the hit and run fatality in El Segundo. It was reported the victim was on his way home from work, without lights and dressed in dark clothes. I suspect the bicycle was his only means of transportation. 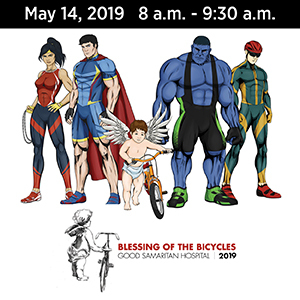 Is there any way we, as a bicyling community, can reach out to our fellow cyclists? I, for one, would gladly contribute funds for reflectors, lights, etc. if doing so would help stem the tide of deaths. So tragic. My deepest condolences to Mr. Loudon’s family. I sure hope they are able to find the driver. 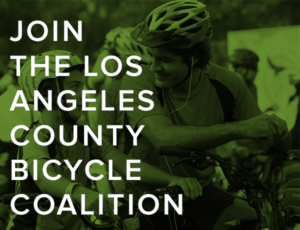 I don’t know how you get the word out about the lights program to people who aren’t active members of groups like LACBC, as probably most of the people who ride are not. I’m glad to hear Adam Rybicki is recovering. My best wishes to him. There is also the possibility that the driver that hit the cyclist took whatever rear lighting was on the bike. Someone I knew that rode everywhere with a Planet Bike SuperFlash rear light was hit and the light wasn’t there when they found him and the bike. Sometimes I think holidays are more dangerous. I wish I were wrong. Vista Del Mar is one of my least favorite roads, especially going towards Redondo Beach near the Chevron station, as you go uphill. Cars tend to go very fast, and you are at their mercy. And this is during the day. At night, I would look for any other route. I am certainly not saying the cyclist was at fault, but if he had considered another road, he might still be alive. Fast car vs. slow bicycle always ends up bad. So sorry for the loss, to his friends and family. That is still blaming the victim for being there to get hit, not the person that hit him and left the scene of the crime. OK, I absolutely “blame” the driver. Now what? He is still dead. What human behavior could have been most easily modified, so that this individual might still be around? When you are in a very vulnerable position, the most important thing is survival. In a non-cycling context, there are places one should not go because of the neighborhood and area. Why, because you are on a bike, is it any different? partner. When you create real value for your customers they will talk. walked into the timeshare seminar.